Sign ‘o the times? Not exactly. Fear not, my pal! Love means never having to say you’re sorry. So, if the place is for lease, why does this guy look so jolly? Maritime Pacific’s George Hancock, tipping the tap at FareStart’s “Guest Chef on the Waterfront” event late night at Pier 66. 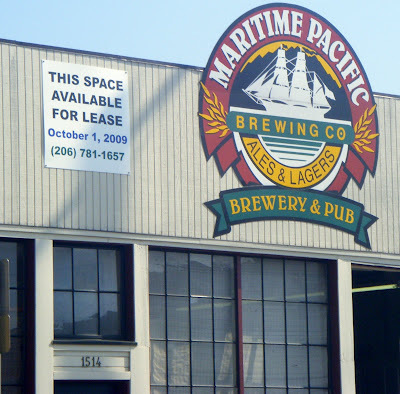 By george, “We’re moving,” explains Maritime’s brewmaster George Hancock, who founded the ma-and-pa brewery in an old transmission shop in 1990 with his wife Jane. 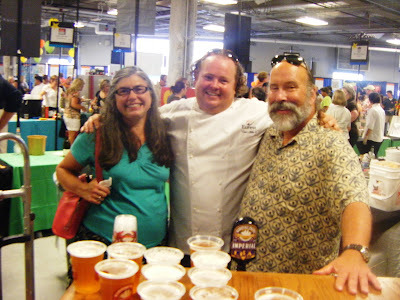 Jane Hancock has been putting her signature on the beer business since 1990. Today Maritime Pacific employees 32 people, including smiling chef David Miller. Many fans have done the drive-by and had the same knee-jerk reaction as my pal, George says. 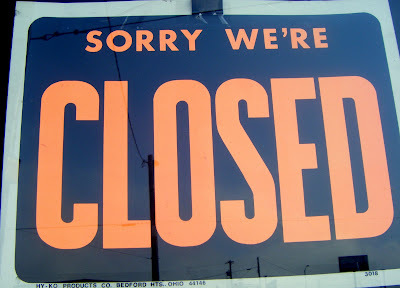 And though he plans to close up shop — briefly — for a couple weeks in September, “We’re not going out of business. Ballard is our home. This is where we started” — and this is where they’ll stay. They’re moving three blocks away to 1111 NW Ballard Avenue, into the old Hamilton Jet building: a dual-story 20,000-square-foot space presently being reconfigured to accommodate the growing brewery and a new taproom. With their lease up after 20 years, finding a new venue was an imperative. “We’ve been fighting the problem of not making enough beer for the last three years,” George says. And the central location will provide much needed space to grow. 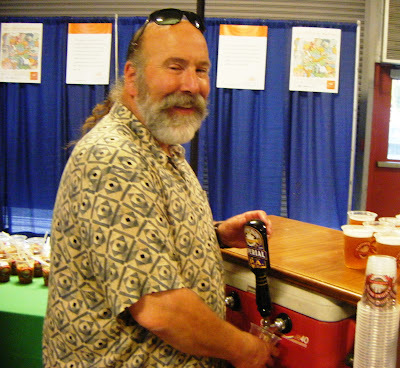 “Last year, we put out 6200 barrels of beer. With the new location, we’ll hopefully be able to produce half again as much within the first couple years.” That’s a far cry from the 400 barrels sold in 1990. Fresh? Ya, sure. 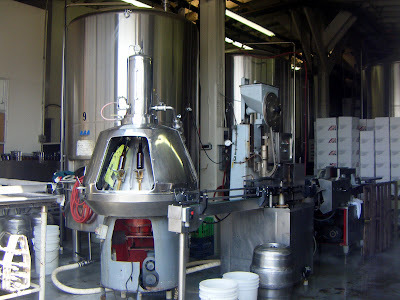 Bottling beer in Ballard, yesterday. 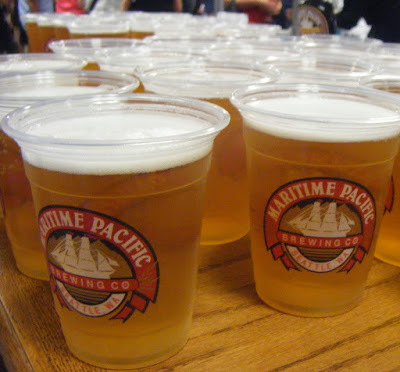 Maritime Pacific: keeping Seattle’s beer-drinkers afloat since 1990.